Recently, celebrity butter incorporation guru Paula Deen made headlines when she revealed that she suffered from Type 2 Diabetes and had signed a contract with pharmaceutical conglomerate Novo Nrodisk to promote their treatments for the disease. Deen’s move has been widely criticized as selfish and irresponsible since a risk factor for Type 2 Diabetes is consuming the rich, high-fat meals that have become her trademark. Much has been made of the fact that she has “hidden” the disease for three years and only revealed it publicly because Nova Nordisk’s advertising campaign will be airing soon. The negative response has been strong enough that Deen has agreed to donate a portion of her pharmaceutical earnings to charity. 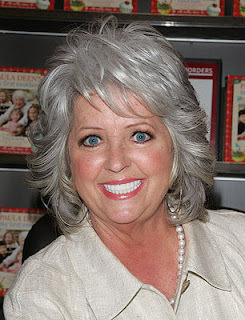 To be honest, Paula Deen has no responsibility to the public whatsoever when it comes to her health. It is none of our business what she has, how long she has had it, or who she got it from. If she chooses to withhold the fact she is suffering from an alarmingly-common condition I do not see why everyone is taking it personally. I realize that the connection between her condition and diet is particularly apropos considering her profession, but privacy is privacy and we would not be having this conversation if she was diagnosed with Bolivian night herpes. However, she should not be shocked that people are upset either. After being constantly critiqued for promoting an unhealthy diet, what did she expect? While there is nothing illegal about keeping you medical concerns to yourself, when you make them public for financial gain do not pretend to be taken aback by criticism. Besides, this is America and a vital component of our society is the ability of an enterprising television personality to cash in on her partially self-induced chronic malady through pharmaceutical endorsement contracts. Almost as ridiculous as the outcry is the overhyped sympathy might be worse. My wife’s People magazine featured a cover-photo of Paula Deen with the caption “Paula’s Health Crisis!” First of all, while Type 2 Diabetes can be life threatening, Wilford Brimley assured me that it can be managed successfully with vigilance and Medicare. Secondly, this is blatant misuse of both the word “crisis” and an exclamation point. A debilitating brain aneurysm is a health crisis; adult onset diabetes is a treatable condition. If anything, the chemical poisoning from her industrial tooth whitening procedures will kill her long before diabetes will. Perhaps the biggest impact from “Buttergate” will be in the field of preemptive diagnosis. A recent USA Today article titled “Prediabetes: the silent menace” claims that over 79 Million Americans are suffering from pre-diabetes, a condition that many physicians feel has marginalized by the pre-high cholesterol advertising conglomerate. "Prediabetes is a huge health problem that is not being addressed to the fullest," says certified diabetes educator Hope Warshaw, RD. Sure, one could argue that such steps are just physicians being responsible, but where does it end? Pretty soon your doctor will be gravely informing you that you are in danger of being at risk of being unwell and prescribe you an expensive drug to treat this devastating hypothetical condition. In short order, television will be inundated with ads that feature footage of an elderly couple riding a tandem bicycle while a disembodied voice grimly reminds you that 75% of healthy adults will have a 40% chance of being diagnosed with psoriasis if left untreated. Like any medication, these preemptive pills will have side effects that will probably include Type 2 Diabetes thus inflicting the very disease that began the epidemic that necessitated the medication. Personally, I’d rather just have the butter……. Wonderfully written and I could not agree more. It is not our business what health problems have and to criticize them. Paula Deen has brought back to America the love for Southern Cooking, but she also says she doesn't eat that way everyday AND that little show she does is only 30 shows a year. 30! How many other days are there in a year? I'm with you, leave the woman and her type 2 diabetes mellituis alone. As far as Dr.'s overhyping us up on the pre-disease...they are just looking for more money...we can't all live forever..pass the butter. There 's a rumor going round that she was born in New York City ! So much for southern cooking !